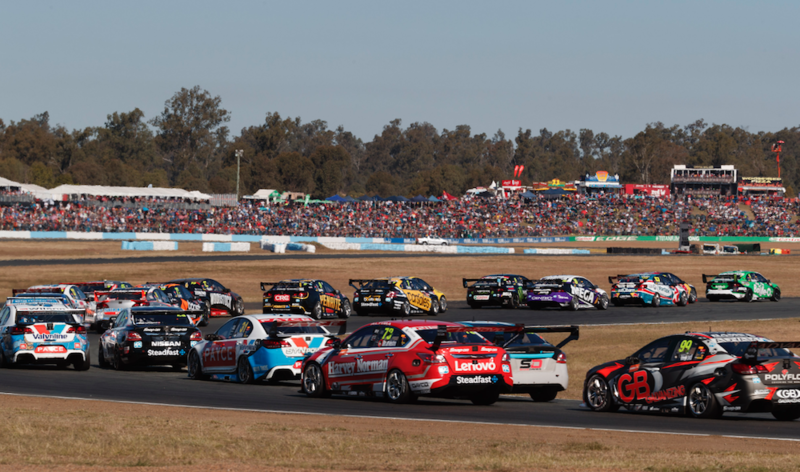 CEO James Warburton has stressed Supercars’ commitment to its Queensland Raceway event despite the Ipswich City Council placing an upgrade masterplan on hold. A $220 million project dubbed the ‘Ipswich Motorsport Precinct’ (IMP) was announced by the Ipswich City Council in mid-2016, promising to overhaul the multi-purpose venue. Requiring a mix of council and State Government money, the plan was to include an extension of the current 3.1km circuit, for which designs were unveiled in July. Doubt has since lingered over the project amid upheaval within the ICC, and new mayor Andrew Antoniolli has now announced that the IMP company will be wound up. Antoniolli said while council resolved last year to proceed with buying back some leases including Queensland Raceway, it became clear this could not proceed without a protracted and expensive legal process. Built on land gifted by the State Government to Ipswich City Council, Queensland Raceway remains under the control of John Tetley, who holds a 30-year lease - not due to expire for nearly another decade - to operate the venue. “Council established IMP with the sound aim of taking the precinct forward to become an internationally-recognised, commercially sustainable headquarters for motorsports and large events,” said Antoniolli. “Our view that this is possible has not changed, however we need any transition to be transparent. “IMP has ceased all activities which were underway and the company will be wound up as soon as possible. “This is a common sense approach while the future of council’s involvement and any investment in the precinct is under review. Despite the shelving of the masterplan, safety upgrades are still expected to be required at the venue for Supercars to return in 2018. In recent years, Supercars and the ICC have collaborated to add temporary barriers to bring the circuit up to the required FIA standard for the SuperSprint event. Even more work is likely to be required next year, however, following a recent FIA track inspection. Warburton says that discussions over safety at the venue are unaffected by the winding up of the IMP company. “We have a 10-year agreement with the Ipswich City Council that is independent of the IMP project that was put forward,” Warburton told Supercars.com. “We’ve worked with the council each year to ensure that the circuit meets the safety standards. “The latest FIA track inspection took place last month and the upgrades in line with their recommendations would need to be in place before the event is run at Ipswich in 2018.